Figure 2-1. German MG-213. Right front view. during firing. It is curious that the German gun had its barrel near the top, away from the center of gravity, since the barrel of the 1862 American De Brame gun was on the bottom. Late in 1942 the Luftwaffe desperately faced a need for a 20-mm aircraft gun of superior performance. Specifications were issued calling for a gun having a rate of fire of 1,000 rounds per minute with a minimum muzzle velocity of 1,000 meters per second. Since it was obviously impossible to meet Such a requirement with the existing types of ammunition, the firm of Hasag was selected to develop the needed round. ft was known that the firm of Hcinrich Kricg-hoff Waffcnfabrik in Suhl, Germany, had a very promising gun design under development, but this weapon was not based on the revolver principle. This firm, which before World War II had worked mostly on sporting arms, did not have facilities to push the project to a quick conclusion. The Luftwaffe, therefore, ordered the development, transferred to Waffenfabrik Mauser A. G. The mechanism was improved by the Mauser plant to a point where it gave the required performance, but parts breakages were excessive. 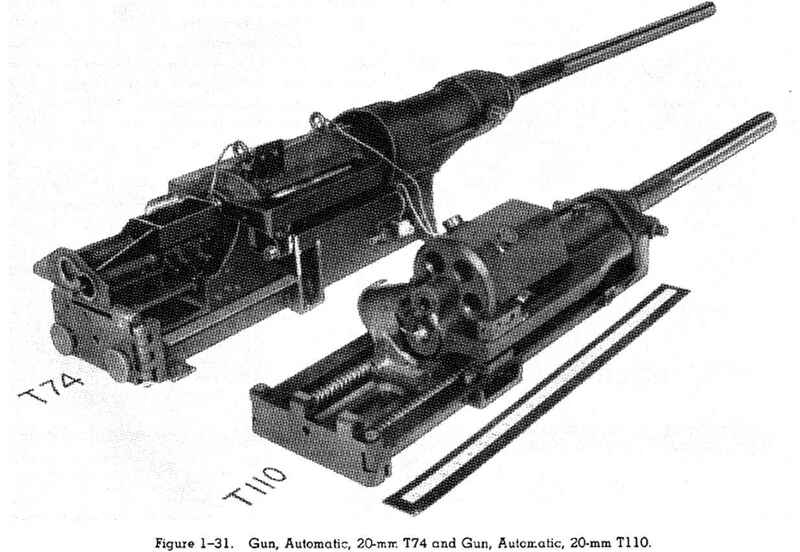 Bccausc of the difficulties with the original weapon, a simultaneous attempt was made to develop another reciprocating action type of gun proposed by a Mr. Lindcr, one of the Mauser engineers, ft was first called the MG—215 but later received other designations; within the company, it was sometimes referred to as the MG-213M. There were also references to it in German reports calling it the 7-43. When the need for clarifying the designations of the several guns in the series became apparent, this design became standardized as the MG-213B. This designation was retained until work on the model was stopped in favor of the revolver principle. The original designation, MG-215. was eventually assigned to another mechanism which has no relation to the present 213 series. tem of the Russian Shkas gun. The Mauser Co. was so impressed with his idea that it took up the matter with the German High Command and obtained permission to make a prototype. It was orignally called MG-216. Subsequently, it became the MG-213C; still later, when converted to 30-mm bore, it was known as the MK-213C. When it became obvious in early 1945 that it was but a matter of time before Germany collapsed, United States ordnance specialists were sent into the field to find anything of value in experimental weapons that the Germans had under test or in contemplation. After the surrender of Germany, several of the high ranking technicians at the Mauser plant revealed that an intensive program was under way on the MG-213 series of guns.